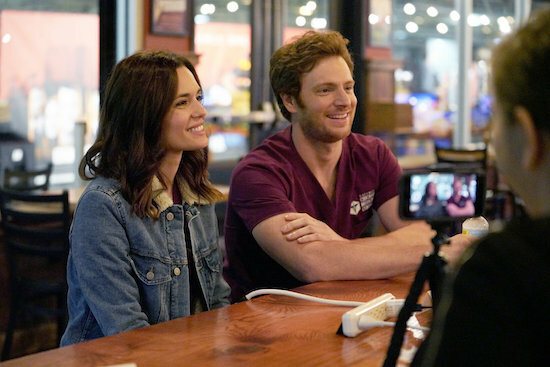 Love is in the air at CHICAGO MED—Will (Nick Gehlfuss) and Natalie (Torrey DeVitto) are officially engaged! “It’s always a wild ride with Manstead,” DeVitto concluded. So what causes the upcoming drama? “On Will’s side, there’s going to be a complication,” executive producer Diane Frolov teased with a laugh. “It doesn’t involve his feelings for Natalie,” executive producer Andrew Schneider quickly clarified. But there is some bittersweet news: Frolov and Schneider confirmed this was Rachel DiPillo’s (Sarah Reese) last episode of the series for the foreseeable future. What did you think of the CHICAGO MED season premiere?